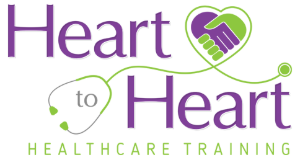 Heart to Heart Healthcare Training is proud to now be offering a Home Health Aide course! The Home Health Aide course is an online only class, that you may work at your own pace and will have up to 3 months to complete the class. You must be 18 years old. personal satisfaction because they are providing comfort to individual clients on a regular basis. Home Health Aide can range anywhere from 20,000 to 29,000 or more. students the importance of doing the same. The total cost for the course is $300. You can sign-up today on our website by going to Apply Now. The class will be available to start as of February 14th, 2019!